Mabul Island is a small island located on the southeastern coast of Sabah; about 15 km away from its more famous cousin, the stunningly beautiful diver’s paradise, much protected Sipadan Island. Mabul Island, started life as a humble fishing village, but today it has grown to be a popular destination due its proximity to Sipadan. 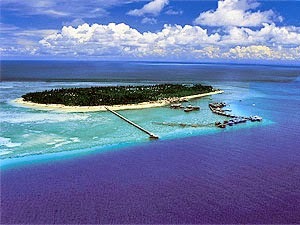 In fact, that many dive enthusiasts elect to stay on Mabul island and commute to Sipadan dive expeditions. This way they get to experience the dive attractions of both the islands. Mabul Island is largely made up of flat level grounds and is littered several sandy beaches. 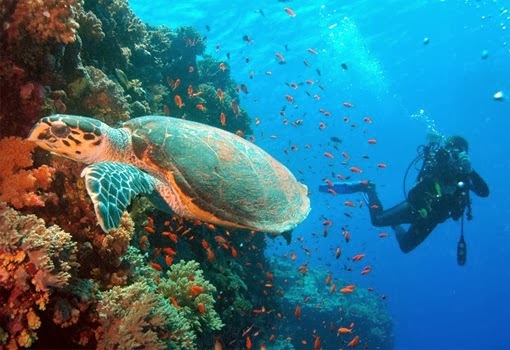 The island is equipped with a few resorts, largely catering to the many scuba diving enthusiasts who visit during the annual diving season from April to November. Visitors to Mabul Island, usually fly into Tawau from Kota Kinabalu, after which they drive to Semporna, to get a speedboat for transfer to Mabul Island. Resorts located the island usually arrange for transport for their guests. 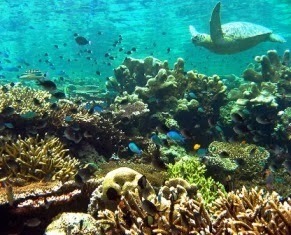 However, once you have arrived on Mabul Island you can easily access Sipadan Island via a 25-minute boat ride. Divers who have explored both islands say that while Sipadan offers much big fish action (sightings of eagle rays, green and hawksbill turtles, hammerhead, white-tip, thresher and whale sharks, angel fish and more), the dive sites on Mabul Island offer viewings of amazing smaller creatures like crocodile fish, garden eels, mantis shrimps, several kinds of frogfish, a wide array of nudibranchs, lion fish, scorpion fish and if you are lucky, even cuttlefish and blue-ringed octopus. Well-established dive sites on the island include Froggy’s Lair, Lobster Wall (a slope reaching depths of 20 meters and featuring colorful reef inhabited by nudibranchs and schools of pipefish), Crocodile Avenue and Eel garden (a sandy seabed filled with lairs and tunnels populated by gobies, ribbon eels, shrimps and other small creatures). In addition to these natural sites, is a man-made reef, located on the eastern seaboard of the island, this reef was created by dive resorts located on Mabul Island by drowning old dive boats, crates and other structures. This artificial reef may look like an underground junkyard, but it harbors a variety of fascinating marine creatures. So while Sipadan Island may be better known Mabul Island, offers its own wealth of marine attractions guaranteed to enchant and delight.